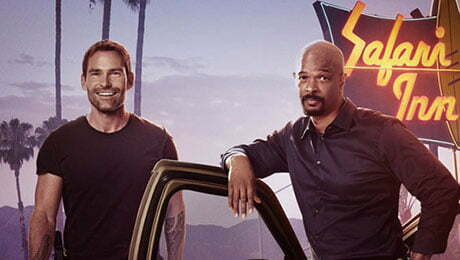 UK commercial broadcaster ITV has acquired the third season of detective series Lethal Weapon for its flagship channel. Based on the movie franchise of the same name, the show airs on Fox in the US and blends action, drama and comedy. The plot focuses on Murtaugh, played by Damon Wayans (My Wife & Kids), who works a crime-ridden beat in modern-day LA, juggling his employment with family life. He is joined in season three by new character Wesley Cole, a former CIA operative played by Seann William Scott (American Pie). Cole replaces Murtaugh’s original partner, Martin Riggs, after actor Clayne Crawford left the show following reports of bad behaviour on set. The series is produced by Lin Pictures and Good Session Productions in association with Warner Bros Television. Matt Miller developed Lethal Weapon and serves as executive producer with Dan Lin, Alex Taub, Bill Callahan, Seamus Kevin Fahey and Jennifer Gwartz. ITV acquired the series from Warner Bros International Television Distribution, and the deal was brokered by Sasha Breslau, head of acquired series for ITV, and Jonathan Vandermeer, the broadcaster’s controller of acquisitions, rights and regulatory.